I've been away from posts about startups because I'm doing one. It feels like it's going to be my best effort yet. One problem we're solving: How do you create and serve markets for sustainably raised local and regional foods in areas with limited growing seasons? The solution we're offering: Help regional family farms find markets for their fresh produce, but also lightly process and freeze so that consumers, restaurants and food service folks can offer delicious local and regional foods year-round. With the help of an investor dedicated to creating new options for regional and local foods, and a great business partner, we've launched Innovation Kitchens LLC. I'll continue posting about entrepreneurship and startups, but I'm going to bring our work at Innovation Kitchens into this blog with some frequency. My specialty is not just opening new businesses but also utilizing those new enterprises to create new markets that solve real-world problems. This is going to be a great ride. As part of this effort we've just opened a unique new produce market located in Middleton, WI. We'll serve consumers of course, but our Middleton Produce Market will also serve as a 'tasting room' for wholesale customers who can order bulk quantities of local and regional family-farm raised produce for serving on their menus year-round. If you'd like to see the news from this specific part of our venture you can like us on Facebook at 'Middleton Produce Market' (below). 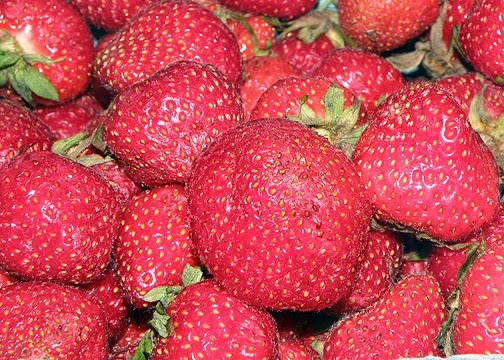 This photo is from our first offering - wonderful, juicy local strawberries. Yum. Our plan is for the Middleton Produce Market to be the first of many. I hope to be able to share news about a much bigger venue shortly.